Happy minor league baseball Opening Day! 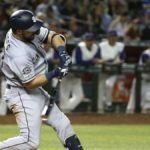 The San Diego Padres have one of the best farm systems in all the land, if not the best. 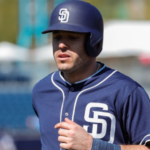 Here is the first of our nightly recaps of the Padres’ system. Enjoy. The affiliates went 2-2 on the night, as both the Storm and TinCaps won in their 2019 debuts. 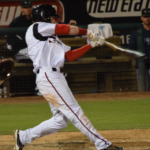 The offense was not an issue for the Chihuahuas as they scored eight runs on the night. The bullpen and starting pitcher Jerry Keel had a rough night on the mound. Tyler Higgins, Brad Wieck, and Eric Yardley all surrendered runs out of the pen for El Paso. Sammy Solis was the only reliever not to allow a run on the night. 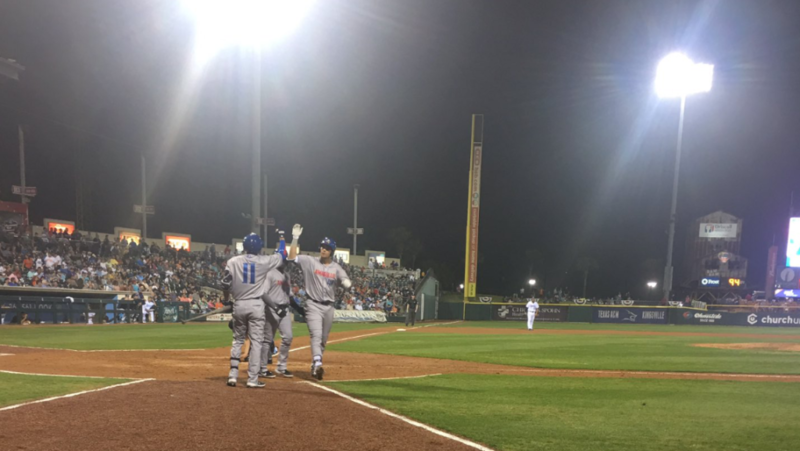 Corpus Christi came into Amarillo and won the first game in the history of the new franchise. “The excitement around the city and stadium is something I’ve never experienced before. 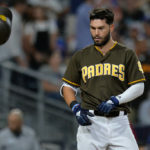 Seems like the city and people are as pumped as we are that baseball is back,” said Brad Zunica who homered in the game providing the team’s only runs. Adrian Morejon was cruising early but got into trouble in the fifth allowing five runs to cross the plate. The Sod Poodles struck out ten times on the night as Kyle Overstreet struck out three times and Edward Olivares was punched out twice. The team did manage six walks as Jorge Ona walked three times on the night. The stocking outfielder made an error in the fifth that caused an unearned run to score. The Poodles’ bullpen looked good as Elliot Ashbeck, Kaz Makita and Emmanuel Ramirez all made scoreless appearances. The Lake Elsinore Storm traveled north up the State and beat the Inland Empire 66ers in their home opener. 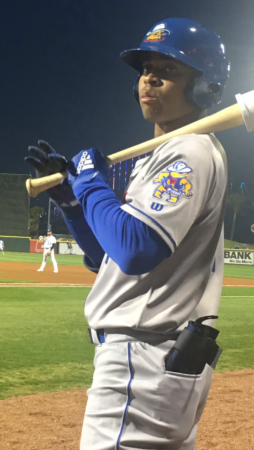 A three-run fifth was enough for Lake Elsinore as Jeisson Rosario, Luis Campusano and Tirso Ornelas all drove in a run. Lake Elsinore left 11 runners on base in the game, but they put the ball in play. Only six batters struck out on the night. The team exhibited some great speed as they stole three bases (Robbie Podorsky, Jeisson Rosario and Esteury Ruiz). Tom Cosgrove was solid in the start, throwing five innings and only allowing two earned runs to score. 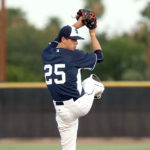 The Storm’ bullpen was perfect as Aaron Leasher, Jean Cosme and Evan Miller shut the door. The save went to Miller which was his first of the season. 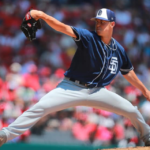 Travis Radke and Dylan Coleman also figure to earn chances this year for Lake Elsinore. 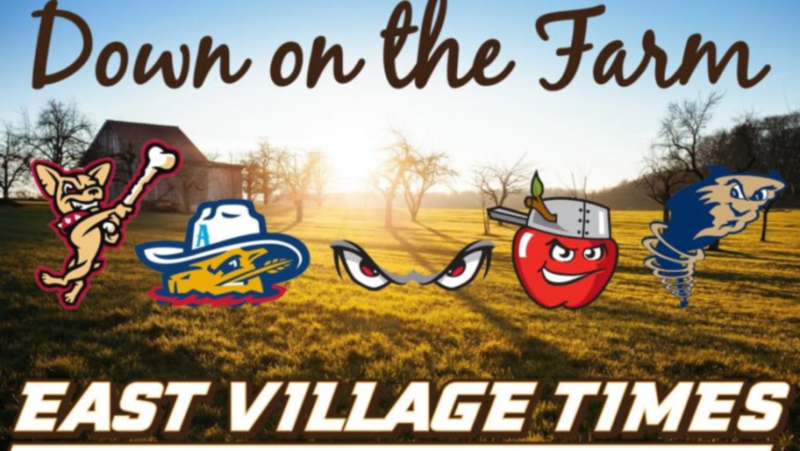 It was a well-played game all around for the TinCaps on Thursday, as they beat the Lansing Lugnuts by the score of 3-0 in frigid conditions. Two runs in the sixth and one in the seventh were enough for the TinCaps in their home debut. There was a big chill in the air, but that did not stop Ryan Weathers from pitching with emotion. “Weathers was sharp as usual and had a little more fire than usual, but I loved every second of it. It’s great to feed off of it,” Blake Hunt told EVT shortly after the game. 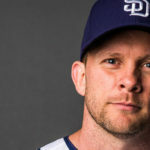 The catcher had an impressive debut in the Midwest League as he threw out a runner, smacked a double to right and began the TinCaps’ rally in the sixth by hustling out a ground ball and causing an errant throw. “Augustin Ruiz had a hell of a game and came through clutch for us,” said Hunt. Fort Wayne left 12 runners on base in the game. Xavier Edwards recorded two infield singles, including a great bunt to load the bases for the TinCaps. Jose Quezada, Angel Acevedo and Carlos Belen shut the door on Lansing in the game. Belen is a former Padres’ infield prospect who is throwing in the mid ’90s with a decent offspeed pitch. The rich get richer.